There is a lot of discussion about what is and what is not a verse novel, especially as it relates to YA and middle grade fiction. I’ve had lengthy arguments with people in which some verse novels are accused of being “prose with line breaks” not poetry. 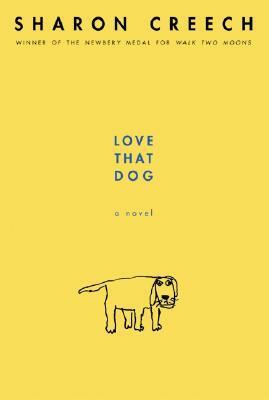 Other people think verse novels like LOVE THAT DOG by Sharon Creech are “too short to be novels”. Still others admire books like THE ONE AND ONLY IVAN for not “relying on the hackneyed conventions of the verse novel”. In other words, not too versy. Perhaps some of the difficultly readers and reviewers have with this form stem from its newness. While epic poems are as old as literature and challenging literary long works in verse have long been a staple of esoteric libraries, popular accessible long verse narratives for young readers are a relatively new phenomena. Beginning in the 1990s and growing in popularity ever since, verse novels for young readers continue to defy categorization – are they poetry? They don’t qualify for most poetry prizes. They are rarely shelved with poetry. Are they novels? They have occasionally been nominated and even won major prizes such as Newbery or Printz awards which are mostly reserved for novels. They are almost always shelved with prose novels. Verse novels are hard to define, certainly, and just as hard, if not harder to write than prose novels. In many cases, however, they are described as easier to read. Why is that? The themes in verse novels are no easier than prose. The vocabulary varies, but can be just as advanced as the most challenging YA and MG novels. Syntax, if anything, is MORE challenging in many verse novels. And word length? Well it’s true that many verse novels are quite short but some others are as long as many prose novels for young readers. Verse novels tend to have at least as many narrative beats as prose novels but they are delivered more quickly, in manageable sizes. In this way they are something like high/low books for struggling readers. However, the wonderful thing about verse novels is that rather than being less syntactically complex, rather than having simpler vocabulary (like high/low) it is perfectly conceivable that they can just as syntactically and linguistically rich as prose novels, if not more, not to mention their narrative complexity. My verse novel AUDACIOUS , for example, has numerous subplots dealing with issues such as religion, death and grieving, eating disorders, artistic integrity, bullying and chronic disease. It has a main character and more than ten supporting characters. It is far from simple either narratively or in its vocabulary or syntax. However a reading level analysis measures it at about grade 2-4, making it the same level as my hi/lo novel WICKET SEASON. Partly this is because reading level analysis reads each line as a separate sentence and reading level is lowered by having short sentences (many lines in AUDACIOUS are only one word long). But I believe that these measures might be a quite good reflection of readers’ experiences. I believe that for many struggling readers it is not so much the vocabulary, sentence length or narrative complexity that they struggle with but the sheer weight of some prose. My daughter, who has a very advanced vocabulary for her age (she’s 8) is an avid and fast reader but prefer shorter series books (Sisters 8, Magic Treehouse etc) because she likes to finish them in one sitting or at most in a day or two. With television, the internet, school, karate, swimming, acting and skateboarding it’s simply too hard for her to keep a story path in her head for longer than that. There is too much going on. However, she devoured THE ONE AND ONLY IVAN in a couple of days. IVAN is not a simple novel. It has emotional complexity well beyond anything my daughter has read on her own before (we have, of course read books to her, mostly Harry Potter) but she had no difficulty sticking with it and understanding it. I think its unique form (and of course Katherine Applegate’s skill as a writer for children) has something to do with that. I think the lightness, for want of a better word, is the defining feature of verse novels for young readers. In this sense the complaints about verse novels being either too “versy” or not “versy” enough are moot. It is not about the verse or any of the associated poetic techniques. It is about the light. Verse novels for young readers take poetry and use it as a tool to help readers rather than a weapon with which to bludgeon them. I think verse novels have a very important role to play for emerging, reluctant or struggling readers. I would love to see school librarians in particular embrace this aspect of verse novels in their practice. I would also love to see more verse novels aimed at the largest segment of reluctant/struggling readers – boys. Darren Shan? Gary Paulsen? R. L. Stine? Anyone? I always recommend verse novels to reluctant readers when they mosey around the library wondering what they should read (I work at an elementary school library). Heartbeat and Love that Dog seem to do especially well with them. We need more books like those in our library. Especially for boys, you are right about that! I recently read All the Broken Pieces, by Ann E. Burg, and that one definitely has boy appeal. I agree. LOVE THAT DOG is a real winner for boys. Have you read the sequel, HATE THAT CAT? Another great one for boys, and a bit more substantial is SHAKESPEARE BATS CLEAN-UP by Ron Koertge.